Katie and her sister Lucy took part to raise money for charities which had helped their mum, Carol, who was diagnosed with Acute Myeloid Leukaemia in 2016. 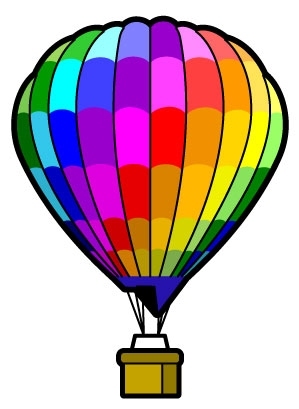 Whilst undergoing treatment she contracted pneumonia due to weakened immune system and later had a stroke. Against all odds she is pulling through and is on the mend. The sisters raised a phenomenal amount of money, some of which they donated to My WiSH, the West Suffolk Hospital charity. 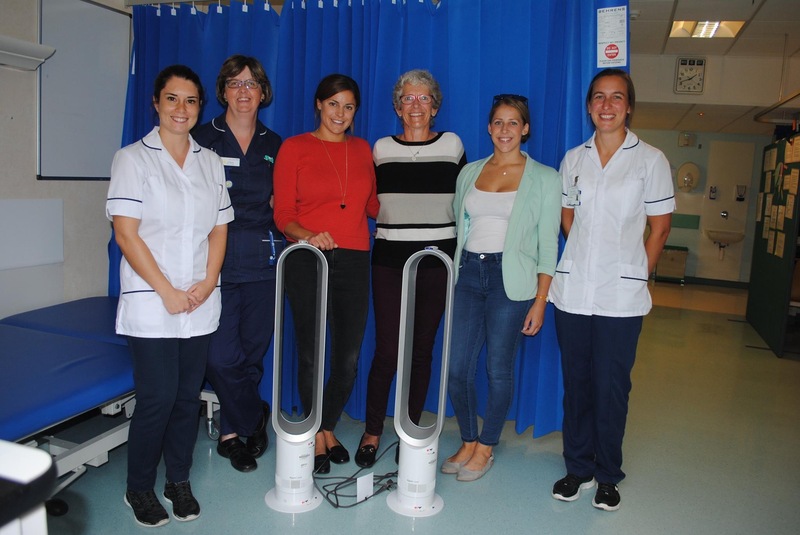 The funds were used to purchase new fans for the stroke unit, to help keep patients and their families comfortable. 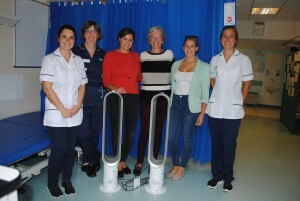 Katie, Carol and Lucy visited the stroke unit to present the fans to the staff. All of us at the Iveson Clinic are immensely proud of Katie’s achievement and wish Carol all the best for her continuing recovery.